2 nights, Waller Cabin-arriving Wednesday May 15th vacating Friday May 17th=$233.20 total. 4 nights, Jurgens Cabin-arriving Monday May 20th vacating Friday May 24th=$466.40 total. 4, 5 or 6 nights, Jurgens Cabin-arriving Monday May 27th vacating Fri. May 31st or Sat. June 1st or Sun. June 2nd or more…. Contact Shawn for cost. 4, 5 or 6 nights, Waller Cabin-arriving Fri. May 31st or Sat. June 1st or Sun. June 2nd or earlier…vacating Thursday June 6th. Contact Shawn for cost. 2 nights, Waller Cabin-arriving Thursday June 13th vacating Saturday June 15th=$259.70 total. 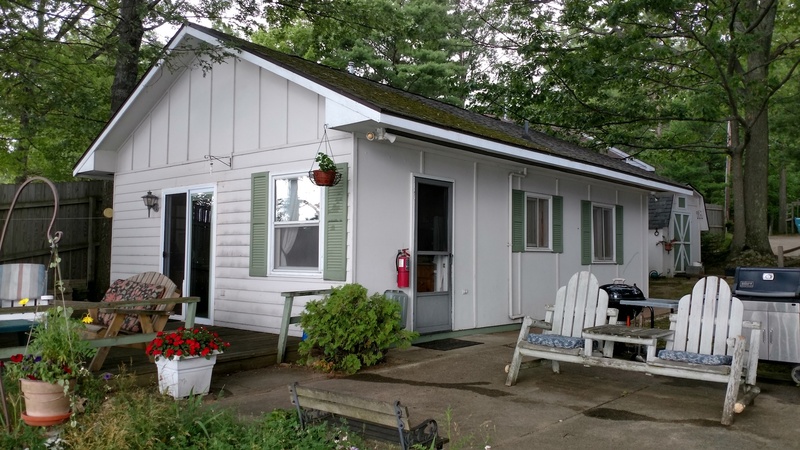 Multiple nights, Jurgens Cabin-arriving Wednesday June 19th vacating…. 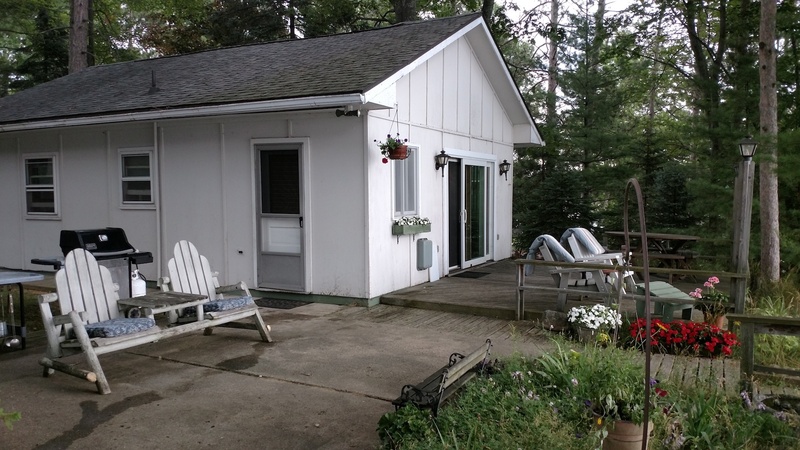 The Jurgens Cabin is a two bedroom cabin with a double bed, two twins and a double sofa bed. It has a bathroom with a shower, a living room with TV and a kitchen set up for housekeeping. It has a private deck with furnishings. It shares the property with it’s twin cabin, the Waller; they have the identical floor-plan only reversed. Check the rental calendar for availability or call Shawn for up to date info. The Waller Cabin is a two bedroom cabin with a queen bed and two singles (smaller than a twin). It has a bathroom with a shower, a living room with TV and a kitchen set up for housekeeping. It has a private deck with furnishings. It shares the property with it’s twin cabin, the Jurgens; they have the identical floor-plan only reversed. Check the rental calendar for availability or call Shawn for up to date info. This property also includes parking for both cabins and additional parking if needed, a gas and charcoal grill, dock, fire-pit, and some boats: row, pedal, 2 kayaks and a canoe. Two Pontoon boats and an outboard motor are available on site for an additional cost. Ask about these rental boats in advance as they are offered to other properties on the lake; first reserved first served. Spider Lake is a 459 acre all-sports lake with a nice DNR launch nearby! Traverse City is about a twenty minute drive and the Sleeping Bear Dunes National Lakeshore is less than a hour away. Also, within a short drive there are so many neat and fun things to do and see: lighthouses, casinos, restaurants, small towns, nature areas with hiking and sightseeing, shopping, midwestern architecture and of course interesting, educational history! Ask Shawn for more information.